Although the sound was tweaked slightly for the 2011 release of Achtung Baby, the Zooropa album was not properly remastered at that time. Nor was it released as a standalone item, being available only in the deluxe releases of Achtung Baby. In 2018, a remastered version of the album finally appeared. The 2018 remaster was directed by The Edge, with remastering engineering completed by Scott Sedillo and the Audio Master Transfer directed by Declan Gaffney. Director of production for this release was Nadine King. 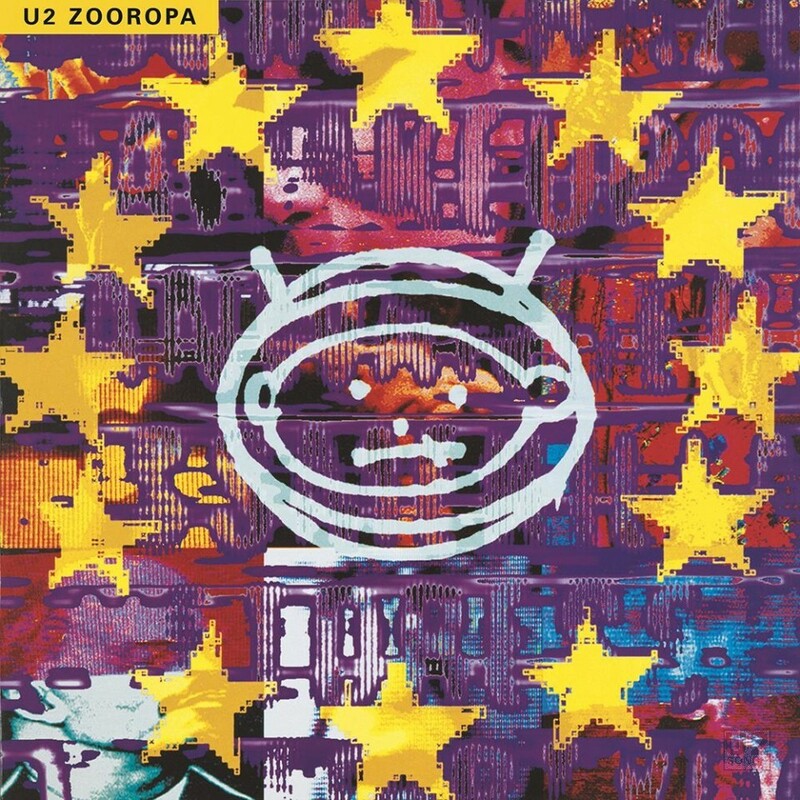 The new remaster of Zooropa was first released on July 27, 2018 on black vinyl along with remastered versions of The Best of 1980 – 1990 and Achtung Baby. All three were produced on two 12-inch vinyl records, pressed at 180gram weight. Due to the shortness of the Zooropa album, two bonus tracks are added. The two tracks are “Lemon (The Perfecto Mix)” (B-Side to “Lemon”) and “Numb (Gimme Some More Dignity Mix)” (From the “Melon” CD for Propaganda). The notes on where these are from are taken from the lyrics included in the new package, which are on the back of one of two inner sleeves included with the vinyl. What is changed with the new Zooropa mix? All of the tracks are louder, and more dynamics are present between the high and low volumes in comparison to the 2011 release as part of the Achtung Baby release. The album tracks themselves are the exact same length as the ones on the 2011 release, although both of the bonus tracks are slightly longer. On the new release, “Lemon (The Perfecto Mix)” is 8:57.542, and on the 2011 release it was 8:56.536. The track starts about 0.065s earlier and has 1.06s of silence added at the end. “Numb (Gimme Some More Dignity Mix)” is 8:51.417, just over 4 seconds longer than the 2011 version at 8:47.065. Here the 2011 version starts later, by about 0.436s, there is a bit of additional audio information in this extended start, but it is mostly silence. There is also an extended section of silence of just over 4s adding to the track time. One interesting change to note with the new master, although the overall track length of the album version of “Lemon” is the same with both mixes, in the new remaster, “Lemon” has been sped up slightly by about 0.3s overall. This results in a small amount of additional silence at the end of the track, as well as playing slightly faster than the 2011 mix. This means it also plays slightly faster than the original 1993 mix. The vinyl is accompanied by a digital download card which will allow users to download the tracks included on the vinyl, including the two bonus tracks in wave format. The downloads are through “The Sound of Vinyl” website, and the downloads are in 44.1/16-bit quality. The releases worldwide in black vinyl, released in July are all the same, and are all from a pressing that was done for U2 in Germany. The front sticker on the release gives the catalog number 00602557970821, but on the spine of the sleeve it gives the catalog number U292018 instead. On the back cover both numbers are listed, with the longer number being at the bottom in the small credits, and the other number being above the UPC. On the discs themselves the number is U29 5797080. On October 12, 2018, a new pressing on blue vinyl was released in the UK at HMV stores (priced at £29.99). The vinyl is limited to one copy per customer at the shops. The pressing is the same as the black vinyl, and includes the two bonus tracks, but the catalog information is new on this blue vinyl pressing, with a catalog number of 00602567891291 on the front sticker and a UPC of 6 02567 89129 1. The catalog numbers on the inside labels of the vinyl are U29 5797080 / U29 5797081 which is the same as the black pressings of the vinyl. The vinyl was made available for early order through U2.Com on October 11, 2018, and it began shipping on the following day to some who ordered. The coloured release of Zooropa does contain a digital download of the album as well. Post Production Co-Ordinator: Cheryl Engels / Partial Productions Inc.
Art direction by Steve Averill. Baby illustration by Shaughn McGrath. Original baby illustration by Charlie Whisker. Original images taken from Zooropa ’93 video footage.